Trip leading can be a daunting task for even experienced boaters, but when you break down the seemingly endless amount of factors you can get a better picture of if you are leading trips properly. Every trip leader is different and each one has their respective strengths and weaknesses. If you want to be a good trip leader it is important to see how each small piece fits into the big picture. Whether you are just getting started or are looking to tune up your trip leading its always good to take a hard look into how you are trip leading and try to master your ability to recognize the most critical steps in planning a trip. Understanding your paddlers’ skills and levels of experience is most often the first factor that goes into your decision on what river to paddle. Planning a trip which pushes your paddlers beyond their ability level can quickly lead to a bad situation on the water. Generally we would not want to put someone any more than a two thirds of a step over what they typically boat. Thus if someone is a Class III+ boater we typically don’t want to put them down anything harder than Class IV. This is also subject to the average level of boater on the trip and you typically do not want to run anything over a third step harder than your average boater on the trip. Thus in a party of confident Class IV boaters with one class V boater and one class III boater probably wouldn’t want to run anything over solid Class IV. Knowing what class the river is a huge help in determining where you will go, but class alone does not tell the complete picture. Much more important than class you should know what the mile by mile gradient is and understand the river character. A good look juxtaposition of this is the Chili Bar Section of the South fork of the American and the Goodwin canyon Section of the Main Stanislaus. The two sections of river are 31 and 33 Feet per mile respectively, however where the American river is generally tough class III at most flows and a more continuous nature. The Stanislaus has an extreme pool and drop character which loses its entire gradient over 1 class IV, 2 Class V, and 1 Class V+ rapids with the remainder being generally class II. If you are an average boater looking for a bit of a challenge the gradient alone could lend you to thinking that they are both suitable for your ability level. Clearly though a good understanding of the class of rapids on each stretch, combined with the gradient, and the character of the river will help fill in the big picture of what is within your ability to run. Different water levels create different concerns and challenges. Higher water lends itself to make river miles tick by more quickly whereas the flow dropping out can create a bony arduous day on the river getting pinned on every rock. Higher flows do come with their own challenges though. This is where contacting the community and experience is important to learn what different flows do on different stretches. Some rivers clean up and mellow out at higher flows some get extremely rowdy and increase difficulty exponentially. Every river is different though and it requires a great deal of research and understanding to uncover what different rivers do at different flows. The length of the river plays a huge factor into how long of a trip that you want to pull off. This consideration can be very complex and interacts across all of the rest of your trip leading concerns. In general you should budget more time for harder rivers in case of accidents or problems thus reducing the distance that you may want to travel each day. Conversely long sections of Class II can be rowed relatively quickly and efficiently and can increase the amount of miles that you may wish to run. Your teams endurance also plays a big part in considering how far that you wish to boat during a day and you should bear that in mind when proposing a trip option for your fellow boaters. When you boat can be as important as any other factor. Getting an early start on a long winter trip can mean the difference between paddling out at dusk or in complete darkness. When you begin planning a trip always keep in mind your put in time, local sunset time, and your distance to be traveled on the river. Pushing hard downstream to make it out before dark can add a huge amount of stress to the trip and can lead you to bad situations in unfamiliar rapids in the name of downstream progress. Boating class IV blind on a new river never makes for a good trip so don’t be afraid to call it if your put in time is getting too close to sunset. Depending upon where you are in the world though daylight hours can vary widely and you should be familiar with the time wherever you boat. Bad weather always makes everything more daunting and definitely ups the difficulty. When it is cold and rainy you begin adding wetsuits, spashtops, fleece, drysits, gloves, booties, etc. Unfortunately not everyone has this gear or has access to it. Knowing what gear you need and when is critical to everyone on the trip having fun and avoiding hypothermia. In good weather you need less gear to be comfortable and less gear for an emergency thus reducing the overall complexity of the trip. In general though it is good idea to carry spare warm clothes at all times in a small drybag since even in 90 degree weather a paddler can get cold or hypothermia from a long swim in cold water. Finding a suitable put in or take out can usually be accomplished by finding the right bridge over the river. In the US bridges over public roads allow access to countless runs however it is not always so cut and dry. Rivers with access points at horrible, locked in, unrunnable gorges tend to get a reputation as no go zones. The beauty of these places will typically be overlooked in favor of places with easier access. Knowing access points and emergency egress routes is critical for whatever section that you decide to run. Maps are great resources so it helps to have a paper map on hand in a sealed container so that you know where these points are, unfortunately maps alone don’t show the whole picture. Hostile land owners, cliffed out canyons, heavy brush, and distance to emergency services can all make the decision to press on downstream more enticing than hiking out. Looking at satellite images and write-ups on the section all play into what the best access point is in an emergency. When you add the dynamic of an overnight or a multi-day into the mix this raises the level of complexity that you will face and is beyond the scope of this article, however we will address multiday packing and rigging in a future article. The best part of rafting after the people and the river itself is the food. Unlike many other human-powered sports, including other forms of whitewater boating, rafting offers a unique opportunity to bring plenty of extras on the trip. Since space is rarely a premium in a raft we always recommend bringing extra food. Generally speaking if you are out for 4 days or less having at least 1 extra day of food for everyone on the trip is a huge benefit. 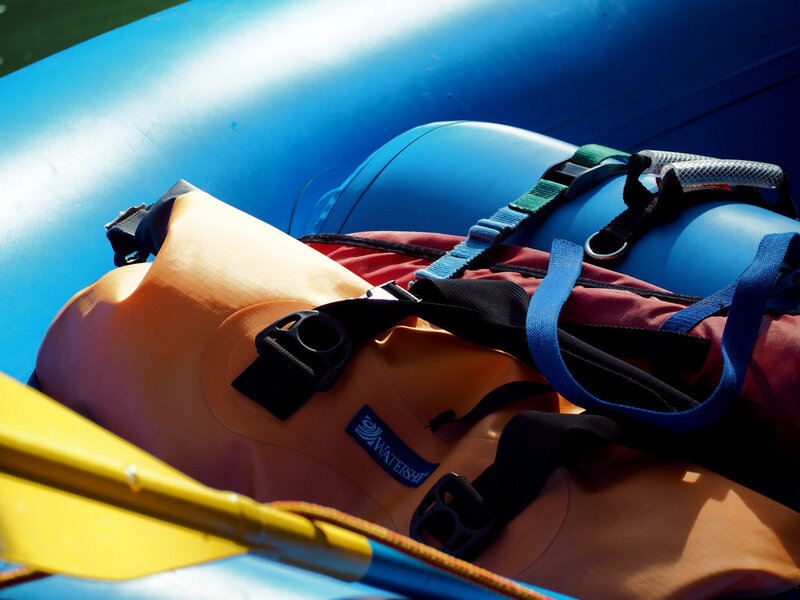 Rafters who have to overnight unexpectedly due to river conditions, poor timing, or encountering other accidents can be a lifesaver. The extra weight is a small price to pay for having some extra energy when a person really needs it. 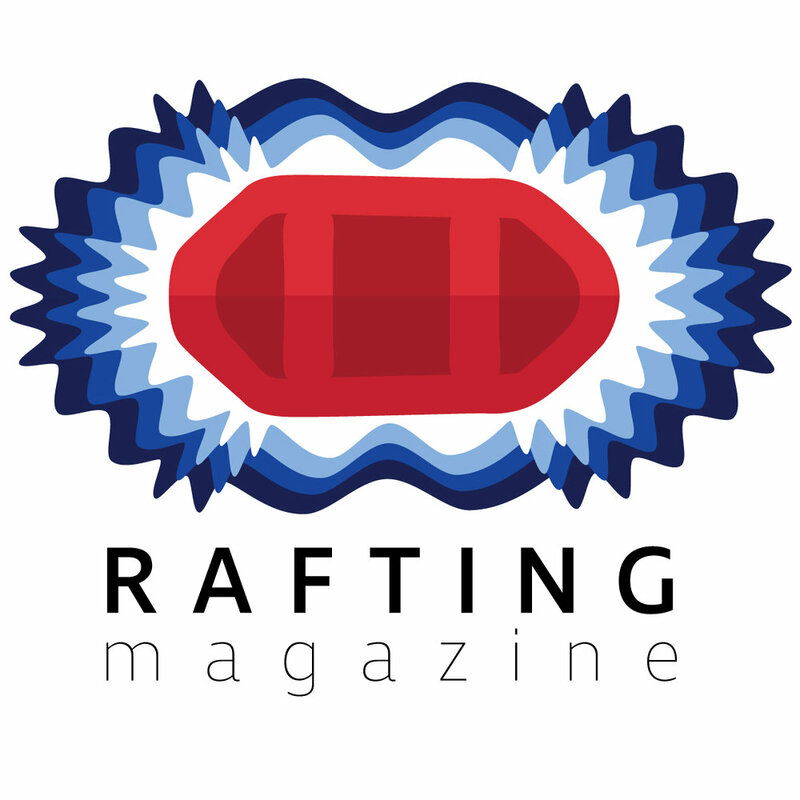 The boating community is always up for a good challenge and rafting new rivers is the benchmark by which we tend to gauge a boater’s ability. Local boaters often make forays into new and exciting rivers just to fill in a blank on the map. The boating community is one of the best resources that is available to you. Typically other boaters can give you good insight into a run and help you decide if the run is a good run for you, a solid step up or outside your ability level. Don’t be afraid to reach out to your fellow boaters and chat with others at put in about other rivers they have been on. Their insight can be invaluable.